(NaturalNews) As the consensus about statins as cholesterol-lowering "miracle drugs" starts to crack, Big Pharma is doubtless looking for ways to preserve the profitability of the top-earning drug class of all time. Now, a new study in the journal Breast Cancer Research may indicate how statins will soon be marketed: as anti-cancer drugs. "Lowering cholesterol with medications for primary cardiovascular prevention in those aged over 60 is a total waste of time and resources, whereas altering your lifestyle is the single most important way to achieve a good quality of life," said researcher Professor Sherif Sultan of the University of Ireland. For the BMJ Open study, a team of international researchers reviewed prior studies conducted on nearly 70,000 people. They found that among people over the age of 60, having higher levels of LDL ("bad") cholesterol was not actually associated with earlier death. In fact, 92 percent of those with high LDL cholesterol actually lived longer than people with lower levels. "Older people with high ... levels [of] the so-called 'bad' cholesterol, lived longer and had less heart disease," co-author Dr. Malcolm Kendrick said. The study undermines the idea that high blood cholesterol leads to heart disease. That's why rather than artificially lowering cholesterol with drugs, people should use lifestyle methods such as improved diet and exercise, and quitting smoking, which have actually been proven to lower heart disease risk and lengthen life. The findings led the researchers to conclude that that "the benefits from statin treatment have been exaggerated." That was also the conclusion of a 2015 review in the Expert Review of Clinical Pharmacology, which found that statins actually only lowered heart disease risk by 1 percent, not the 36 to 54 percent reported by drug companies. The study also found that media reports consistently ignored high rates of serious side effects. 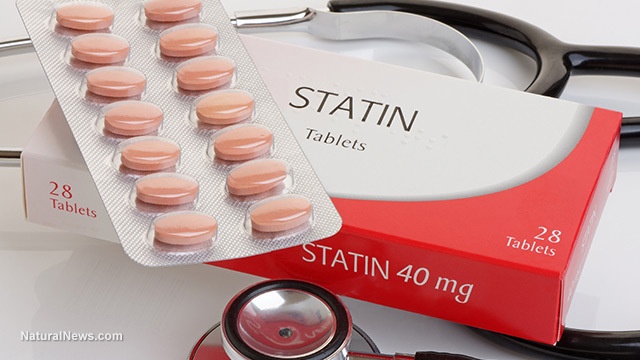 "Increased rates of cancer, cataracts, diabetes, cognitive impairments and musculoskeletal disorders more than offset the modest cardiovascular benefits of statin treatment," those researchers wrote. With the American Heart Association and American College of Cardiology recommending that one-third of U.S. adults take statins, these blockbuster drugs aren't going away anytime soon. But just in case some patients and doctors start to grow too skeptical, Big Pharma and its backers are getting the next big statin use ready: as a cancer treatment. Certain studies have indeed suggested that cholesterol may play a role in "fueling" certain forms of cancer, but early studies also linked high cholesterol with heart disease and cardiovascular mortality. And given how ardently statins were embraced as a miracle cure for heart disease and how the shine is going off those hopes, proclamations of the same drugs as miracle cancer cures seem premature, if not downright disingenuous – particularly since cancer is one of the proven side effects of statin use.